Dan Howard & Co Ltd Auctioneers are delighted to present No 38 Gleann Alainn in Ballygarvan to the market. This is a very nicely presented 2 Bedroomed first floor apartment and finished to a very high level. It has its own front door access from the ground floor and constructed with concrete floor. There is a spacious living room, kitchen/dining room, 2 bedrooms, ensuite and shower room. All bathrooms have been recently upgraded along with the living room and kitchen. 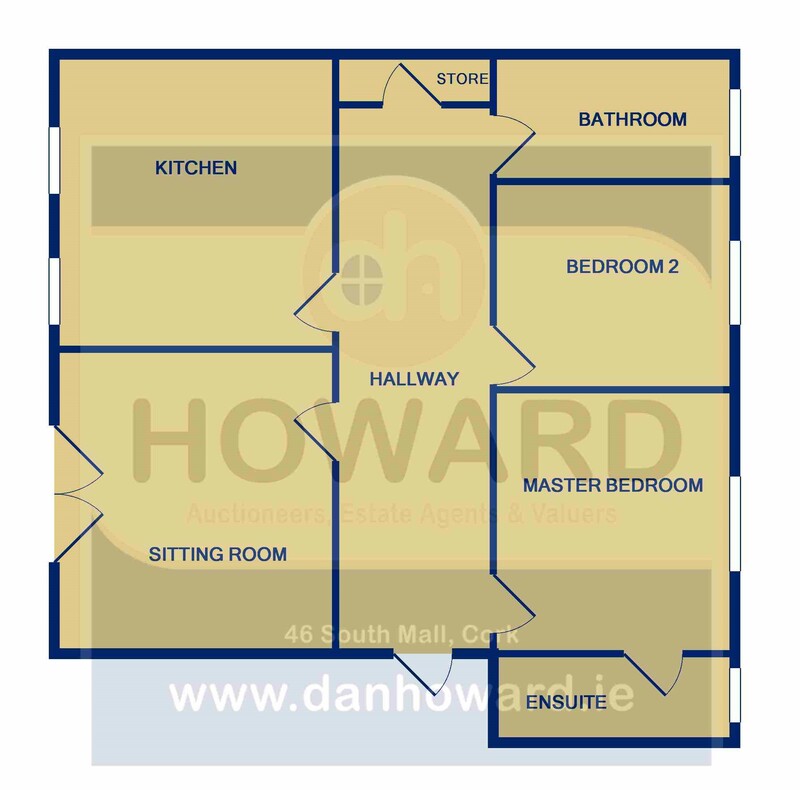 There is great space in this apartment and there is also access to the attic which is fully floored and very suitable for extra storage space.